Real Madrid boss Santiago Solari said his side must get back up against Roma following a shocking 3-0 loss against Eibar on Saturday. 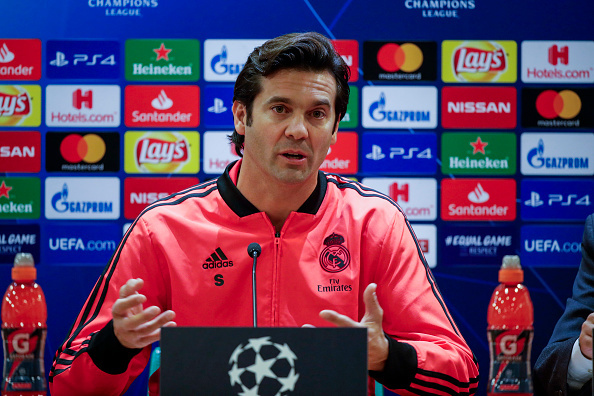 The new Madrid Coach saw the heavy defeat in the spain and they now face a tough Champions League assignment in the Italian capital. “We need to do what this squad has always done in this tournament, prove that we’re up to it. “It’s easy, but at the same time difficult. It was a heavy and hard defeat on Saturday, but it belongs in the past now. “We’ve analysed the game and are looking forward, we’re in Italy, in Rome, and in another tournament so we’re focused on this match.